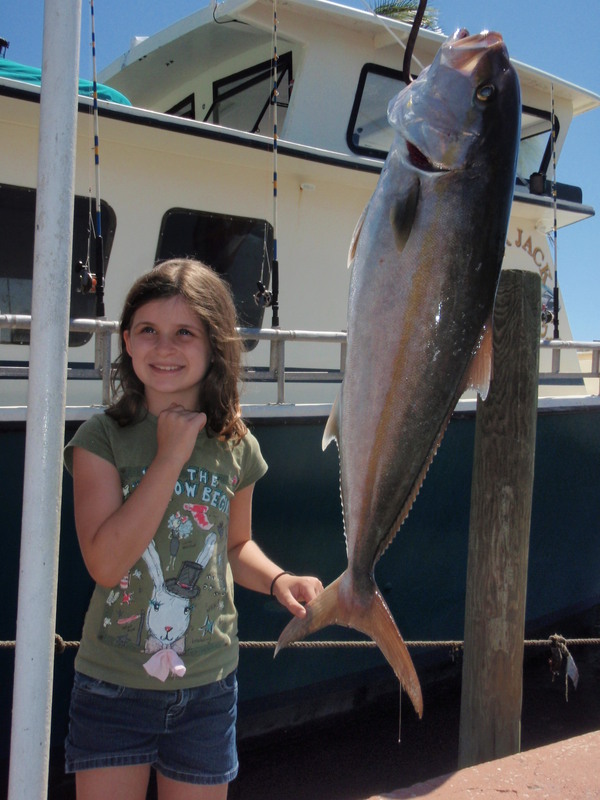 Eight year old junior angler Zoe of Wellington, Florida caught this nice Greater Amberjack while fishing aboard the Lady K with her family during a recent morning trip. Zoe was fishing a bottom rig baited with cut squid when the large fish hit her line. Zoe and her family also caught Porgies, Triggerfish, Blue Runners and other reef fish during the trip. This is what fishing is all about – quality time spent building a memory for a life-time. Great job on your big catch Zoe!